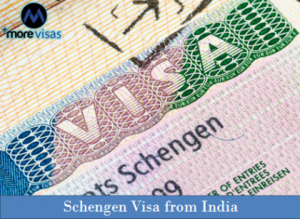 Home » Schengen Visa » Keen to Know About the Process of Schengen Visa from India? This entry was posted in Schengen Visa and tagged EU nation India Schengen Schengen Visa Visa on May 27, 2015 by Blog Author. Are you one of those individual from India who is planning to tour European nations for a long vacation? If yes, then you must apply for a Schengen visa from India, which gives you a great opportunity to travel more than one EU nation as per your choice. Travelling to European nations is something that makes individual’s vacation more exciting as well as memorable. Thanks to the Schengen visa agreement; this has made EU travel much easier than ever before. The Schengen visa has witnessed a wonderful craze, especially among the people of India who are fascinated to take regular trips along with the family during vacations. The must-talked Schengen visa is a credential or document, which is granted by the appropriate authorities to the interested individuals for visiting or travelling all the countries in the Schengen Area. This area is comprised of 26 EU-nations that have decided to sign a single visa agreement mutually. Acquiring Schengen visa is quite essential for individuals who are intending to spend a memorable holiday in Europe. On the other hand, this visa makes individuals Europe travel much easier as well as convenient. Basically, this visa is granted to the non-EU or overseas nationals for entering and residing in EU for short-period of time. This visa allows overseas nationals to travel to 26 EU nations, such as Austria, Belgium, Denmark, Finland, Czech Republic, Germany, Estonia, Greece, France, Hungary, Iceland, Italy, Lithuania, Latvia, Netherlands, Luxembourg, Malta, Norway, Poland, Portugal, Slovakia, Slovenia, Switzerland, Spain, Sweden and Liechtenstein on a single visa for a period up to 90 days within six months. Thus, meet the aforesaid requirements and make your holiday more exciting by visiting to 26 EU nations. If you are interested to apply this visa, fill out our Enquiry Form, so that one of our visa expert will get back to you.